Mad Max is essentially one long chase scene. But what a complicated and thrilling chase scene it is. It surprises me none to find out that George Miller, the director, created a storyboard comic book to map out the shooting of the film from logistics to aesthetics. Storyboards and concept art are important tools for filmmakers but even moreso for filmmakers making action movies. 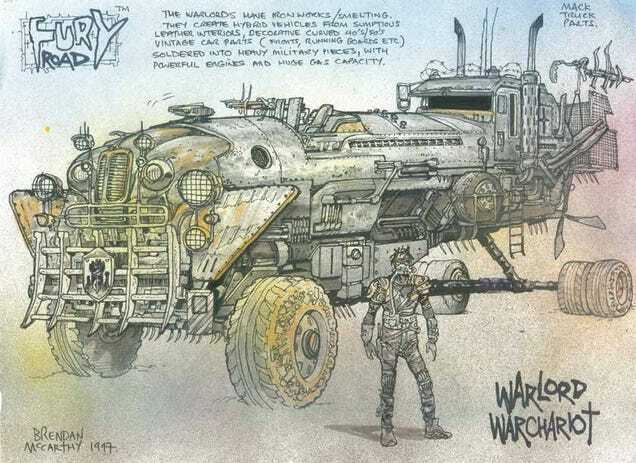 Below is a compendium of links to articles on the making of Mad Max: Fury Road. Read, watch, enjoy but don't forget to take notes. Plans for a fourth film in the Mad Max series hit financial difficulties and the project spent several years in "development hell". The idea for a fourth installment occurred to Miller in August 1998 when he was walking in an intersection in Los Angeles. About a year later, while travelling from Los Angeles to Australia, the idea coalesced. Miller conceived of a story where "violent marauders were fighting, not for oil or for material goods, but for human beings." The film was set to shoot in 2001 through 20th Century Fox, but was postponed because of the September 11 attacks that same year. "The American dollar collapsed against the Australian dollar, and our budget ballooned," Miller said that he "had to move on to Happy Feet, because there was a small window when that was ready." Mel Gibson, who starred in the original three previous films, was also set to reprise his role as the lead character. Miller ended up re-casting the role because of controversies surrounding Gibson and because he wanted Max to remain at a younger age, as the "same contemporary warrior". Miller announced in 2003 that a script had been written for a fourth film, and that pre-production was in the early stages. Although the project was given the green light for a US$100 million budget to begin filming in Australia in May 2003, Mad Max 4 entered hiatus because of security concerns related to trying to film in Namibia because the United States and many other countries had tightened travel and shipping restrictions. With the outbreak of the Iraq War, Mad Max 4 was abandoned as it was considered a potentially politically sensitive film. Although Gibson had been cast to return as Max, he lost interest after production was cancelled. Director George Miller announced in 2003 that a script had been written for a fourth film, and that pre-production was in the early stages. In November 2006, Miller stated that he intended to make Fury Road, and considered doing the film without Gibson: "There's a real hope. The last thing I wanted to do is another Mad Max, but this script came along, and I'm completely carried away with it." The film's screenplay was co-written with cult British comic creator Brendan McCarthy, who also designed many of the new characters and vehicles. Miller again confirmed his intention to make another Mad Max at the 2007 Aurora film maker initiative. However, he stated that he thought Gibson would not be interested in the film because of his age. Heath Ledgerwas reportedly considered for the lead before he died from combined drug intoxication in 2008. On 5 March 2009, it was announced that an R-rated 3D animated feature film was in pre-production and would be taking much of the plot from Fury Road, although Gibson would not be in the film and Miller was looking for a "different route", a "renaissance" of the franchise. Miller cited the film Akira as an inspiration for what he wanted to do with the franchise. Miller was also developing an action-adventure tie-in video game based on the fourth film, along with God of War II video game designer Cory Barlog. Both projects were expected to take two to two-and-a-half years, according to Miller, with a release date of either 2011 or 2012. 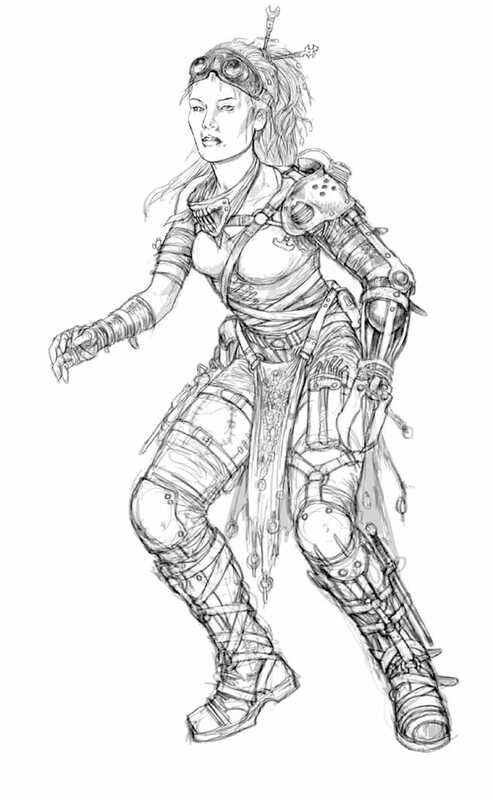 Fury Road was going to be produced at Dr. D Studios, a digital art studios founded in 2008 by Miller and Doug Mitchell. 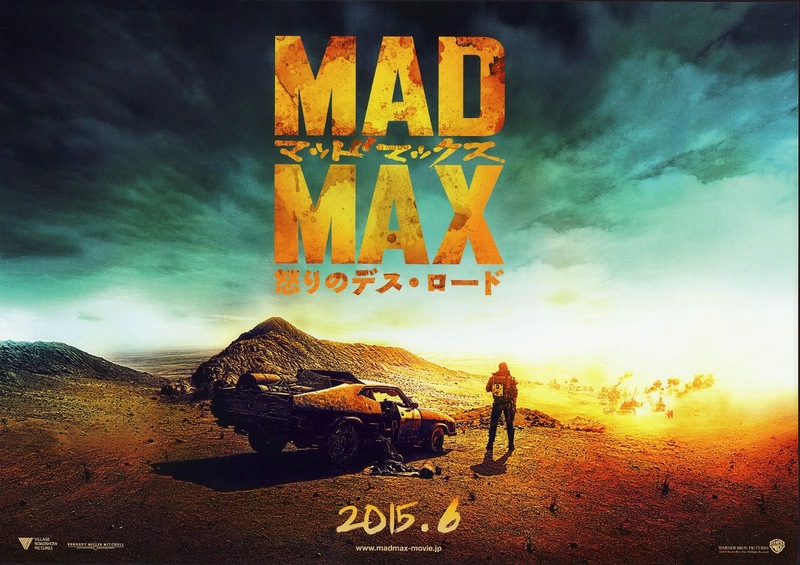 On 18 May 2009, it was reported that location scouting was underway for Mad Max 4. After exploring the possibility of an animated 3D film, Miller decided instead to shoot a 3D live action film. By this time, production had moved to Warner Bros. In October 2009, Miller announced that principal photography on Fury Road would commence at Broken Hill, New South Wales in early 2011, ending years of speculation. This announcement attracted widespread media attention in Australia, with speculation on whether Gibson would return as Max. That same month, British actor Tom Hardy was in negotiations to take the lead role of Max, while it was also announced that Charlize Theron would play a major role in the film. In June 2010, Hardy (who was just six weeks old when the originalMad Max began shooting) announced on Friday Night with Jonathan Ross that he would play the title role. In July 2010, Miller announced plans to shoot twoMad Max films back-to-back, entitled Mad Max: Fury Road and Mad Max: Furiosa. In November 2011, filming was moved from Broken Hill to Namibia, after unexpected heavy rains turned the desert there into a lush landscape of wildflowers, inappropriate for the look of the movie. In a July 2014 interview at San Diego Comic-Con International, Miller said he designed the film in storyboard form before writing the screenplay, working with five storyboard artists. It came out as about 3,500 panels, almost the same number of shots as in the finished film. He wanted the film to be almost a continuous chase, with relatively little dialogue, and to have the visuals come first. Paraphrasing Alfred Hitchcock, Miller said that he wanted the film to be understood in Japan without the use of subtitles. Principal photography began in July 2012 in Namibia. Filming also took place at Potts Hill and Penrith Lakes in Western Sydney. In October 2012, The Hollywood Reporter reported that Warner Bros. sent an executive to keep the production on track. The filming wrapped on 17 December 2012 and lasted for 120 days. In February 2013, a leaked draft from the Namibian Coast Conservation and Management group accused the producers of damaging parts of theNamib Desert, endangering a number of plant and animal species. However, the Namibia Film Commission said it had "no reservations" after visiting the set during production. It disputed claims reported in the media, calling the accusations "unjust rhetoric". In September 2013, it was announced that the film would undergo reshoots in November 2013. Cinematographer John Seale, who came out of retirement to shoot Fury Road, outfitted his camera crew with six Arri Alexa Pluses and four Alexa Ms, as well as a number of Canon EOS 5Ds and Olympus PEN E-P5s that were used as crash cams for the action sequences. In July 2014, director George Miller described the film as "a very simple allegory, almost a western on wheels". Miller said that 90% of the effects werepractical. Second unit director and supervising stunt coordinator Guy Norris was in charge of over 150 stunt performers, which included Cirque du Soleilperformers and Olympic athletes. Miller invited playwright Eve Ensler to act as an on-set adviser. Impressed with the script's depth and what she saw as feminist themes, she spent a week in Namibia, where she spoke to the actors about issues of violence against women. The lead visual effects company for Mad Max: Fury Road was Iloura, who delivered more than 1,500 effects shots for the film. Additional visual effects studios that worked on the film include Method Studios, Stereo D, 4DMax, BlackGinger, The Third Floor, and Dr. D Studios. The film contains about 2,700 cuts of its entire running length, which is equivalent to 22.5 cuts per minute compared The Road Warrior's 1,200 cuts of its 90-minute running time equivalent to 13.33 cuts per minute. The frame rate was also manipulated. "Something like 50 or 60 percent of the film is not running at 24 frames a second, which is the traditional frame rate," said Seale. "It'll be running below 24 frames because George, if he couldn't understand what was happening in the shot, he slowed it down until you could. Or if it was too well understood, he'd shorten it or he'd speed it up back towards 24. His manipulation of every shot in that movie is intense." The extensive effects work included altering lighting and time of day, weather effects, terrain replacement, and plate composition. Night scenes were filmed in bright daylight, deliberately overexposed, and color-manipulated. In many shots, the sky was digitally replaced with more detailed or interesting skies. Charlize Theron wore a green cover over her left arm to aid effects artists in digitally removing her arm from her scenes. Weta Digital was originally involved with the film when it was scheduled for a 2012 release. The company was to be handling visual effects, conceptual designs, specialty make-up effects, and costume designs until production was postponed from its November 2010 start date. The musical score for Mad Max: Fury Road was written by the Dutch composer Junkie XL. Prior to Junkie XL's involvement, John Powell and Marco Beltramiwere attached at separate times to score the film. After hearing Junkie XL's score for 300: Rise of an Empire, Miller met with the composer in Sydney. "I got very inspired and started writing pieces of music for scenes," said Junkie XL. "The initial main themes were written in the four weeks after that first meeting and those themes never changed." A soundtrack album was released by WaterTower Music on 12 May 2015. Despite the advances in CG, you shot Fury Road as much as possible in-camera with practical effects. Why? It’s not a fantasy film. It doesn’t have dragons and spaceships. It’s a film very rooted to Earth. A kind of crazy demented quality to everyone’s behavior arises out of this extreme, elemental, post­apocalyptic world. We needed to make it feel as real as possible. 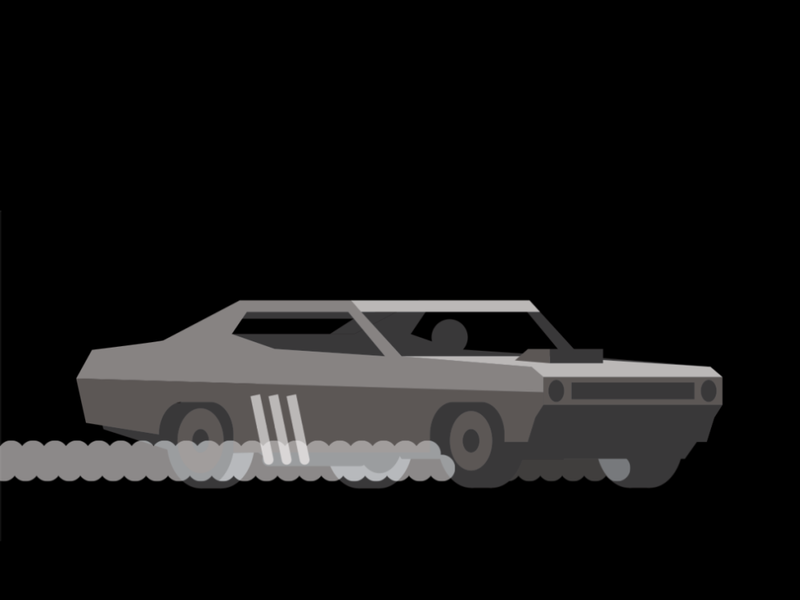 In Max’s Fury Road entrance, he’s speeding through the desert in the franchise’s classic Interceptor, a modified 1973 XB GT Ford Falcon Coupe, trailed by marauders—until his car is hit with an explosive and spins into a rolling crash. Miller told his team to make it “as spectacular as possible.” A pipe ramp would have been obtrusive in the open desert. 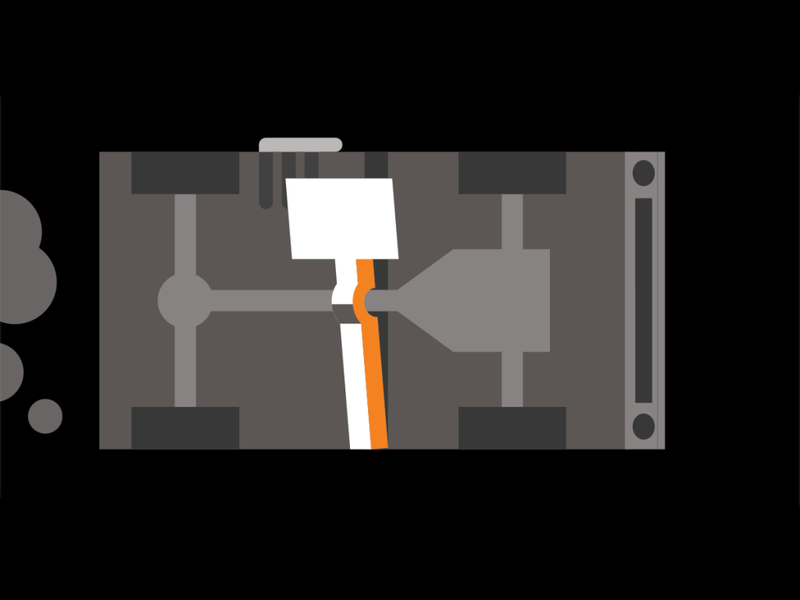 A nitrogen-powered pole cannon would have shot a dangerous chunk of wood toward the trailing cars. So the team created a brand-new, safer method: the Flipper. Step 1 | Stuntman Guy Norris guns the Interceptor to 60 mph. Step 2 | When he hits a mark in the sand, Norris twists the wheel and hits a button that triggers a nitrogen-­powered flat steel blade, which slaps the sand and retracts, sending the car into a roll. Step 3 | “You feel it every time the car hits down: Whap. Whap. Whap,” Norris says. He got 8½ flips on a test run, “which would have been a world record in film.” On the day of the shoot, he got 5½. You used some advanced tools that didn’t exist in 1979 when you made Mad Max, right? In countless ways, the technology enabled all the real-world stuff. Communication. Digital cameras. Video-split technology. The biggest thing was just the safety rigs. When I was a kid I’d watch incredible stuntmen in Westerns fighting on top of a train. They had to walk very carefully—one slip and there was death. Here, we were able to get our actors on top of speeding vehicles doing their own stunts and harnessed so that, should they fall, they wouldn’t die. With CG it’s very easy to erase those wires. The Making Of Mad Max: Fury Road: "We Shot One Scene For 138 Days"
Mad Max: Center Framed from Vashi Nedomansky on Vimeo. “Eye Trace” is another editing technique that posits that you can guide the viewers eye and make them look where you want. By using motion in frame and/or positioning critical points of focus in successive shots to fall on a natural or comfortable area of the screen. An arrow shot from a bow flying left to right on screen of one shot…will seamlessly cut with a whip pan into the next shot that has a target and an arrow already stuck into it still quivering from the impact. Your eye is tracking the arrow left to right and your brain expects it to hit somewhere on the right side of the screen in the next shot. The viewer never sees the arrow make contact and doesn’t need to. A properly placed sound effect will convey the energy and impact. Apply this same technique to the punches, gunshots, spears, car crashes or any other shot in MAD MAX:Fury Road and you can see how much easier it makes the action to follow. Original plate filmed in Namibia.